So when your flight is scheduled to arrive at 10:00 JST, and the morning NRT-NGO is scheduled to depart at 10:25 JST, your connection time is only 25 min, which is way below the MCT. There is NO WAY any airline will let you book this as a single itinerary. Maybe I misread, but OP seems to say that JAL would let him book that itinerary for €180 more. How is it even possible? I suspect that's for the codeshare flight operated by AY which is scheduled to arrive at 09:05 JST. OP will have exactly 1hr 20min to connect to the morning NRT-NGO flight. well, since checkin cutoff is 20 minutes before flight, just standby when you arrive NRT. I think it's a schedule of flights and coincidences at the Jal level, very badly calculated, in the morning many flights arrive from Europe to Narita, there are many tourists and Japanese who fly Jal, I had chosen this flight just to try the boeing 787 / 9 Jal, certainly not for 8 hours of transit on a chair at the airport when I could choose the flight to Nagoya with Finnair (as I have always done in the last 10 trips). Maybe Jal must revise his connection policy, long ago I had launched an idea to Finnair to connect his A350 on NGO, I then read about a couple of months later that Finnair in the summer 2019 season is adjusting operational aircraft on Helsinki - Nagoya route, which sees the airline moves from Airbus A330 to Airbus A350-900XWB. There is simply very little demand to fly NRT-NGO, hence only 2 flights a day on JAL and ANA each. The vast majority of passengers would simply fly directly to NGO if there is a flight available, such as from HEL, or take the train from Tokyo or Osaka. When the shinkansen opened (in 1964!) it pretty much replaced flying for all Tokyo-Nagoya travel. 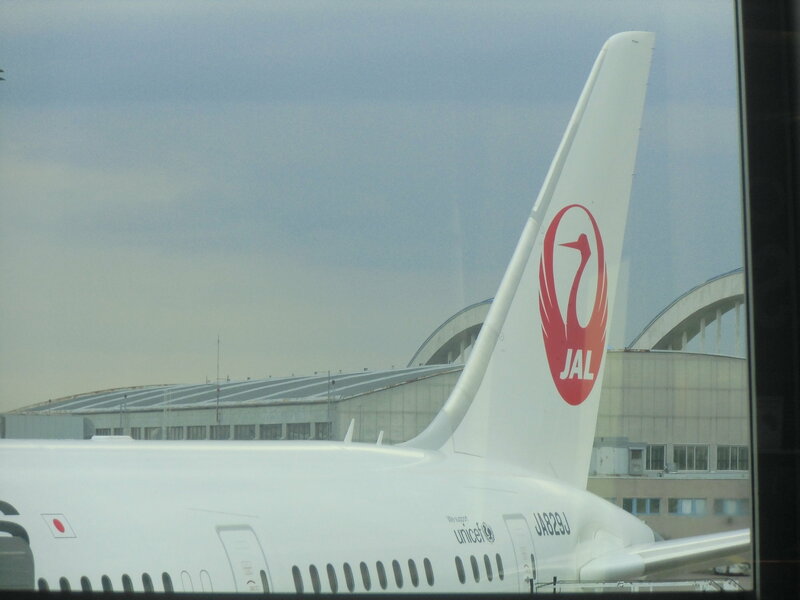 What do you want JAL to do for you, considering that there simply are no other NRT-NGO flights to change to? [QUOTE = jgchiker; 30220403] Quello che abbiamo imparato qui? 1. I chose, the flight to Narita to get on board the Boeing 787/900 of Jal, having already flown with other aircraft Always JAL, 2. Jal in case of change of flight, in case you manage to take the connection requires a penalty for flight change, (my ticket is not cheap or flexible because it is too expensive). 3. In case you do not want to stay at NRT and take the train to NGO, my ticket is canceled because it is counted as no show. .4 NRT to NGO only 3 foreign companies stop at NGO, Finnair, Cathay and Lufthansa, as well as Thai and China. Ps.This was just to make it clear how things are. I think I'm more confused than I was before. JALPak, rustykettel and WorldLux like this. whats stopping you to reject the changes when they moved the flight times. surely if you are forced to have an 8 hour delay you can reject the change. or you can standby on the earlier NRT-NGO flight. cut off is 20 minutes. or if you decide to take the 789, well, thats your decision. you cant tell the entire flight schedule to shift so you can sit on a 789. I highly doubt the change caused the lengthy layover. OP claims flight was changed from 17:00 to 17:30 (should be 17:25) departure. Adding 25 min to OP’s connection would still not meet the MCT. i thought he said the arrival times changed by an hour or sth.